What’s your sign? That’s a question best left “for entertainment purposes only” and the bar at the Regal Beagle. Scientifically, astrology is worthless. Other than for a wry chuckle there’s no actual use for astrology or horoscopes. They’re throwbacks from the days of pre-science, and even though astrology may very well have formed the foundation for modern-day astronomy (in that it got people studying the heavens and the locations of stars and planets before they had any idea what those points of light in the night sky really are) there’s no actual empirical evidence that the stars, planets, or moons can influence our actions, our fates, or our daily lives in any way whatsoever. It might be fun to classify yourself as one sign or another, but the truth is the way you think, feel and behave have much more to do with your nature and nuture than where the Sun or planets were in the sky on the day you were born. Maybe it sounds like making a fuss over nothing but since there’s a lot of people out there making a living off astrology and basically continuing a tradition of pseudo-science for their own personal financial gain – whether knowingly or innocently – I feel a little debunking of such misleading information has a place here on LITD. Phil Plait’s Bad Astronomy on Astrology: Astrology is Wrong. 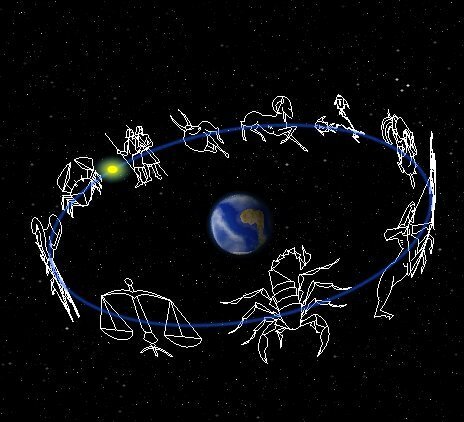 ADDED 6/25/14: Why Believing in Astrology is Not As Harmless As You Think by George Dvorsky on io9.com. Astrology may be more connected to psychology and theology rather than any type of physical science. Bottom line: astrology is NOT astronomy, even though the words may sound similar and may have meant the same thing to people hundreds of years ago. We have learned so much about our Universe in the centuries since then that the two are now as related as chemistry and alchemy. UPDATE Feb. 2014: Mother Jones has reported on a National Science Foundation poll that finds considerably less young Americans considering astrology as unscientific these days as compared to just a few years ago… actually, the least amount since the early 80s. That’s scary, for many reasons. Read it here. So what if some people believe in astrology. Leave them alone and let them have their fun, they pay taxes also. I wonder if all the astrologers who get paid to knowingly sell false information also pay their taxes. I guess they’d have to. What’s the difference in paying for satellite TV so you can watch mindless BS and paying an astrologer for some BS? None. My issue is with 1. astrologers who claim their work is “science” (especially those who know very well it is not) and 2. people who think astrology and astronomy is the same, or have equal validity. This page is meant more to educate via actual info to the contrary. I have similar issues with TV companies that produce crap to feed the masses. TV can have content, it doesn’t have to be mindless. Drunk drivers make our highways 100 times deadlier than any war going on right now but who gets all the headlines? Similarly astrology is a small thing in matters of importance yet it gets headlines way beyond what it merits. It’s called sensationalism and it drive the news industry. Inflame, not inform, is the MSM battle cry. That’s why most of us just ignore them. The vast majority of people worldwide know the difference between astrology and astronomy regardless of the sensationalists claims otherwise. Those who don’t know are still in diapers or living in caves. A vast majority implies a ratio… the popularity of horoscopes in media, online and print, says the ratio may not be as much of a majority as you think. Newspapers still post horoscopes in valuable real-estate where they could be putting paid ads or (gasp) content. I wonder how many readers would write in furious if they were to be removed? Astrology is based in myth, while astronomy – even though it has its beginnings in astrology – is based in science and research. Yet I know many more people who know their “signs” and their supposed significance yet have little thought of our place in the cosmos, nevermind the solar system. Which is totally fine, because I’m more than happy to enlighten, but I also often hear questions that denote a marked confusion between actual science and pseudoscience. Which is unfortunate to see in 21st century America. My page here is far from “mainstream media”, and the compilation of videos is all my own. This is my attempt at leading the horses to water, if they want to drink the info that’s entirely up to them. Most people don’t believe in astrology nor do they confuse it with astronomy but if you wish to entertain the opposite fantasy go ahead. 25% of Americans believe horoscopes are real. This equates to 78 million people. While not “most”, it’s quite a lot. This number is from a 2005 Gallup poll, not an entertained fantasy. Those figures are no surprise. We hear US has large percentage who believe in creationism, that earth is 4000 yrs old, that aliens vampires and angels live amongst you, that climate change is made up. Maybe there are flat-earth and geo-centric believers in US too? Murdoch’s Fox pay-TV channels in Australia now show a lot of US programs based on superstition and nonsense on our “Science” and “Knowledge” channels – well after midnight here – timed I assume for US viewing. So good to find a great blog like this – based on real science and trying to stem a return to medieval superstition and ignorance. Thanks Jason. Fantastic page, the last video was glorious! Bill Nye the Science Guy!!! I totally grew up on Billy Nye! For those saying that astrology isn’t really a big issue, I can say that as an educator in astronomy many people (not an actual statistic, I know) come in without an understanding of the difference between astronomy and astrology. That may recognize that they are indeed different things, but if you ask them what the difference is they do not have an answer. And while astrology is certainly far from the worst evil in the world there are certainly instances when it can lead to poor decisions, uninformed choices, misplaced trust, or even more dire circumstances. I recommend checking out whatstheharm.net. They have a section devoted to astrology. I’m not sure the rules on posting links to this forum so I’ll leave the googling to you! I’m rather late on the scene, but I wanted to mention that Augustine, Bishop of Hippo, wrote one of the clearest refutations of astrology in Book V of his “City of God,” dated about 1,600 years ago. It’s available on the Internet in Latin or English. Lol, I was about to look for my sign. LOVE this thanks! Astrology is not premised on causality…rather astrologers regard the zodiac as a mythico-symbolic map divided into arcs of meaning and thereby utilise it as a tool for divination. One divines by the stars as one might divine by tea leaves but never would one say that the tea leaves caused the event, just as ‘real’ astrologers would never claim that the stars caused a situation. Presuming astrology is based in causality is a common misunderstanding made time and time again, especially by those that have not studied it. The most accurate Numerology Calculator uses Birthday Date along with your Name to finely calculate all possibilities of numerology calculations which give the most correct predictions about you for FREE. NO MORE reading of text numerology predictions. Know InDepth Name & Birthday Date Numerology Predictions. Get Detailed & Most Accurate 2016 Numerology Predictions. This blog sounds like it was written by a college dropout, scientific “wanna-be” who would give their left testicle as a sacrifice to Neil Degrass Tyson. You can’t form one independent or intellectual thought on your own so you have to co-opt opinions from other “experts” who have never even gave the subject matter any serious investigation to begin with. This verbal vomit you have spewed from the ignorant bowls of your derelict conscious mind totally invalidates you as any sort of professional author and validates your inferiority as an intellectual. Furthermore, stick to trolling FB comment feeds, as you might have more success in those endeavors.